This link from my friend Samuel. Religious leaders in Jerusalem launched a new project on Thursday, aimed at fostering peace between Judaism, Islam and Christianity through the sharing of Judaism's most holy site. The project is headed by the Interfaith Encounter Association, which aspires to promote a vision of peaceful coexistence between the 'three Abrahamic religions'. In light of the Middle East conflict, which centres upon the city of Jerusalem and in particular the Temple Mount area, the project envisions a day in which the contested site can be shared by the religions of the world. 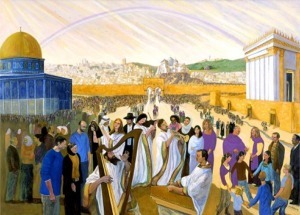 A painting being used to promote the vision of the organization depicts a rebuilt Jewish Temple, standing alongside the Islamic Dome of the Rock. The artist portrays Christians, Muslims and Jews streaming in through the reopened Eastern Gate of the Temple Mount toward their respective holy places. In accordance with the prophecies of Ezekiel and Zechariah, a river runs out from the Temple and towards the former and hinder seas (Zechariah 14:8). But rather than being a blueprint for the rebuilding of the Jewish Temple, the painting portrays the holy sites in anomalous positions, so as not to prejudge the outcome of ongoing negotiations between Israel and the Palestinians. Quote: "The world holds dark assumptions that fervent dreams by different faiths for the Temple Mount must lead to conflict. We pretend that these dreams no longer matter, but past regional peace initiatives have fallen apart in disputes about the Temple Mount. Join us in unveiling the prophetic calling of God's Holy Mountain through close religious study, and in seeing: The Temple Mount is not a problem but the place for Jew, Muslim, and Christian to fulfill Zechariah's prophecy: "On that day, God will be one and His name one." There is disagreement over the exact place it is believed the Jewish Temple once stood. Some believe it is possible that a Jewish Temple could be built adjacent to the present day Dome of the Rock. The prophecy of Ezekiel states that the Messiah is to enter the Temple through the Eastern Gate of the Temple Mount. If the ascent from the Eastern Gate into the Temple should be in a straight line, then this would place a rebuilt Temple slightly north of the Dome of the Rock. The Holy of Holies, in which the Ark of the Covenant once stood, would then be located over the present day Dome of the Spirits. It is interesting that the Eastern Gate remains sealed, which seems to correlate with the prophecy in Ezekiel that the gate through which the Messiah would enter would subsequently be closed (Ezekiel 44:1-3). In the year 1541, during the rebuilding of the city of Jerusalem, Ottoman Sultan Suleiman the First ordered the Eastern Gate to be sealed. No record is made as to why he did this, but Jewish tradition holds that around this time, a rumour swept through the city that the Messiah was about to arrive. Presumably their speculation was based on the prophecy of Psalm 102:16, that when the Lord would build up Zion, He would appear in His glory. Upon learning that the Jewish Messiah was to enter the city through the Eastern Gate, he had the entrance shut and built a Muslim cemetery in front of it, in the belief that the Messiah's forerunner would not enter it at risk of defiling himself according to the Old Testaments laws. But some argue that this gate is not in the same location as the Eastern Gate that lies buried beneath the ground. 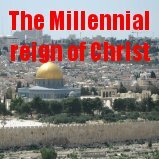 The Temple Mount and Land of Israel Faithful Movement believe that the real Eastern Gate is located a hundred metres further south, and that the Holy of Holies was located directly beneath the present day Dome of the Rock. They believe that only the destruction of the Dome of the Rock will pave the way for the building of the Third Temple. They admit that this would inevitably lead to a third World War, but that God would grant Israel the victory for seeking to fulfil His will. Whichever theory holds true, there is no doubt that we are nearing the time when the Temple will be rebuilt, in accordance with Biblical prophecy (Revelation 11:1-2). As we saw recently, the Temple Institute, which is reconstructing many of the instruments that will be used in a rebuilt Temple, is already working on blueprints for the Temple's construction. And one of the tasks the newly established Sanhedrin has set itself is the discovery of the exact location of where the Second Temple once stood. 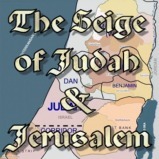 Many Jews believe that the construction of the Third Temple will precipitate the coming of the Messiah. And the Bible does seem to indicate that a messiah-figure will enter the rebuilt Temple shortly after its construction (2nd Thessalonians 2:4). Unfortunately he will not be the true messiah. When He was here on Earth, the Lord Jesus Christ said that He had come in His Father's Name and the nation of Israel had not received Him. But, He said, if another came in his own name, him they would receive (John 5:43). This one whom the nation of Israel will receive will enter the rebuilt Temple and blasphemously declare himself to be God. He will then demand that all the people of Earth worship him. Unwittingly, the very 'dark assumptions' and 'fervent dreams' that they are working to prevent will be realized, when people of all religions are commanded to worship a man who sits on the Temple Mount claiming to be the one true God. How devious the devil is. Only when the Jewish nation has nowhere else to turn, they will recognize who their true Messiah is and turn to Him for salvation (Zechariah 12:10). And He will come to them and save them from their enemies. Praise God that we know the true Messiah, and we do not have to wait until then to find out who He is! Do you know Him? He is the one with the nail-pierced hands (Psalms 22:16). He is the one who loves you, and gave Himself for you (Galatians 2:20). 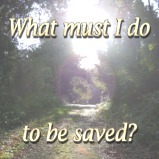 Why don't you turn away from your sins, and trust in Jesus Christ for salvation today.